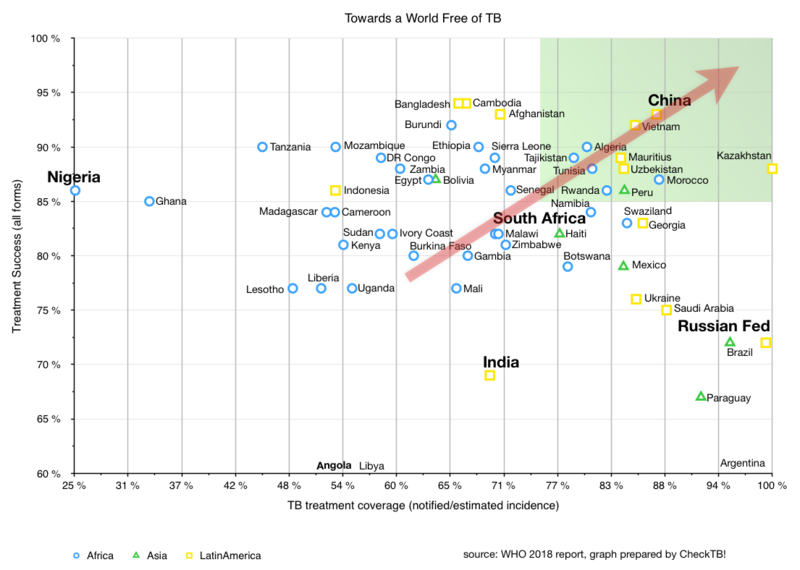 Worldwide the TB incidence reduces about 2% per year, which is not sufficient to reach the targets of the End TB Plan . Strategies to actively find cases and ensure prompt effective treatment exist also for high TB burden settings . However, to scale up such strategies, which include screening for active TB in key populations, to a large scale, rapid and more affordable diagnostic pathways are required. dCXR/CAD in combination with Xpert® MTB/RIF effectively responds to this need to find the missing people with TB. The choice for an algorithm will be setting specific, but generally an algorithm composed of Chest X-ray (CXR) screening followed by confirmatory testing with Xpert® can achieve the lowest Number Needed to Screen and highest positive predictive value, and is the least amenable to setting-specific variation . Digital Chest Images are instantly available and can be interpreted by CAD or by a human reader who does not need to be in the same location by using the internet or mobile phone network connections. This makes digital CXR a rapid and relatively low cost triage tool for Xpert® eligibility also fit for use in low resource areas. This enables NTP’s to boost diagnostic output at same budgetary input (online Economics of Screening model). The above cost indications for dCXR/CAD and Xpert® include salary cost (LMIC), cartridge cost and provisions for maintenance for dCXR and GeneXpert® system. The TB Innovation Summit was forward-looking and solutions-oriented with the tagline for this event being "Our Journey to End TB Begins Now”. 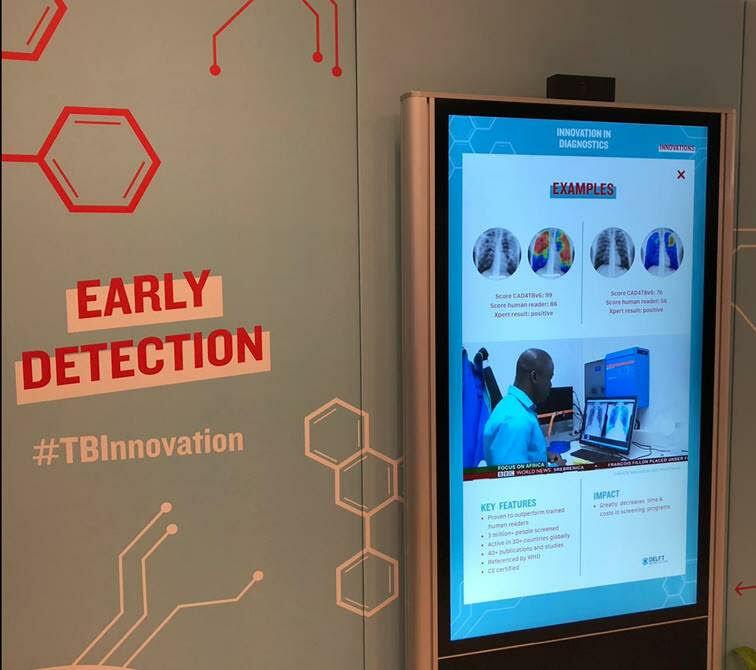 At this summit preceding the historic UN General Assembly on TB in September 2018, Computer Aided Detection for TB (CAD) was selected and presented as one of the key innovations for early detection. Optimal first screening tool for high risk groups. Useful diagnostic tool for non-bacteriologically confirmed TB, for example in PLHIV and children. It is more difficult to diagnose TB in children than in adults as they are less likely to have the classical signs and symptoms of the disease, like couch. Children have usually less bacilli in the sputum and the younger children often cannot produce a specimen. Therefore CXR plays an important role in TB diagnosis in children. The intended use of CAD4TB as from the 2018 version 6 was enlarged to serve subjects as from 4 years of age. Lancet October 2015 Turning off the tap: stopping tuberculosis transmission through active case-finding and prompt effective treatment. BMC Infect Dis. 2014 Oct 19;14:532. doi: 10.1186/1471-2334-14-532. Choosing algorithms for TB screening: a modelling study to compare yield, predictive value and diagnostic burden. Van't Hoog AH1, Onozaki I, Lonnroth K.
 Implementation Research to Inform the Use of Xpert® MTB/RIF in Primary Health Care Facilities in High TB and HIV Settings in Resource Constrained Settings, PLOS. Monde Muyoyeta, Published: June 1, 2015 DOI: 10.1371/journal.pone.0126376.